I was in a dilemma about chargers and PSU’s for some time, could not really decide. Now I made decision and ordered them. I went for the iCharger 106B+ charger and a Lindinger 20A power supply unit. I went for the iCharger since it is the best and this small model has just right performance for my needs. I plan to charge my batteries to storage charge on the long run and have a full charge prior to flying. This enables long life for them. The 20A PSU seems to be too large for the 10A charger but the more power you have in the PSU the more stable voltage it can deliver during load condition. And the less it will use the fan for cooling itself. This seemed to be a good compromise in cost and performance. I had my first charge recorded to show some interesting details. The charger is quite heavy, you can feel that there is material in it. Good quality feel on the house, the connectors and the buttons. I have some plastic screen protection on the display, haven’t removed it yet. Like on mobile phones, you remove this on first use. This is no quality issue, I thought I might have it on for a while. The PSU is cooled by a fan, the fan runs very smooth and quiet. I charged one battery so far at a time, we will see how it will run on more load. I plan to parallel charge several batteries at once. The charger enables all sort of protection features. You can have time based protection, capacity based boundary condition. You can have temperature sensor readings and stop charging on some defined value. And you have the intelligent control of charge that checks all cells during the process. When I charged the interior temperature of the charger went up to 41 degrees centigrade, this is not much I think. The fan ran quite seldom, noise level was not disturbing in a quiet living room. My wife was reading on the couch, no comments on her side. I even did a storage charge, please see noise levels at that operation in following clip. I will read the manual, that never hurts. And I will use parallel charge soon. Ordered a charging board from Hobbycity along with 3 extra batteries. 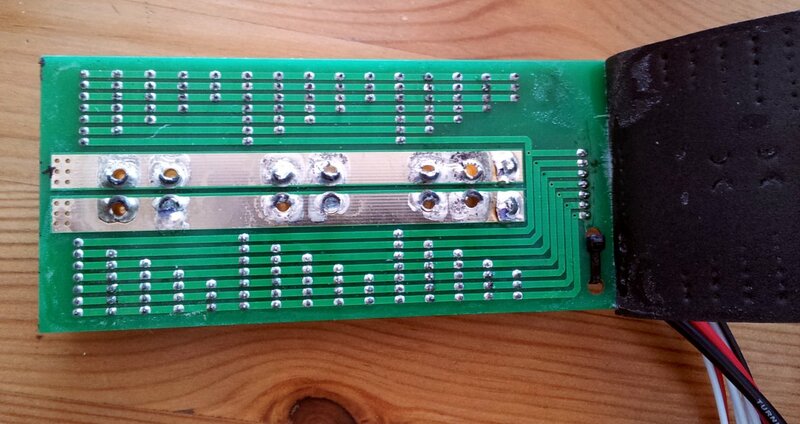 What I read is that you should check polarity on this board. Some of them are wrong polarity, you can damage your battery if you have a wrong polarity connection. I will check mine when it arrives. I have 10A limit on the charger, this means that I can charge all 6 batteries together with 1.66A each. This is 0,75C charging, so it will take approximately 1.3 hours to charge all of them at once. Since I don’t discharge them fully I assume that maybe less time will be enough even. With a 20A charger this would be even less time. But I am not in a hurry. Compared to the charger I used so far this is magic speed. The other charger took 6.5 hours per battery. That is slow. I even have a battery monitor being shipped. This small unit can display the voltage in all cells, you can check the status on the field. Can have it in the shirt pocket, a must-have almost. Costs 1.86 USD, that is almost like a box of milk that I drink every day. 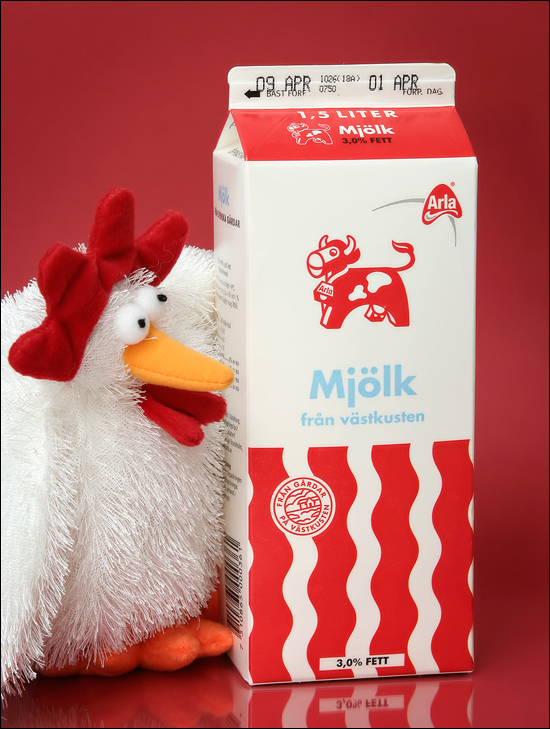 3% and 1.5 liters costs approximately 12 SEK. Excellent news. My cell checker arrived even. 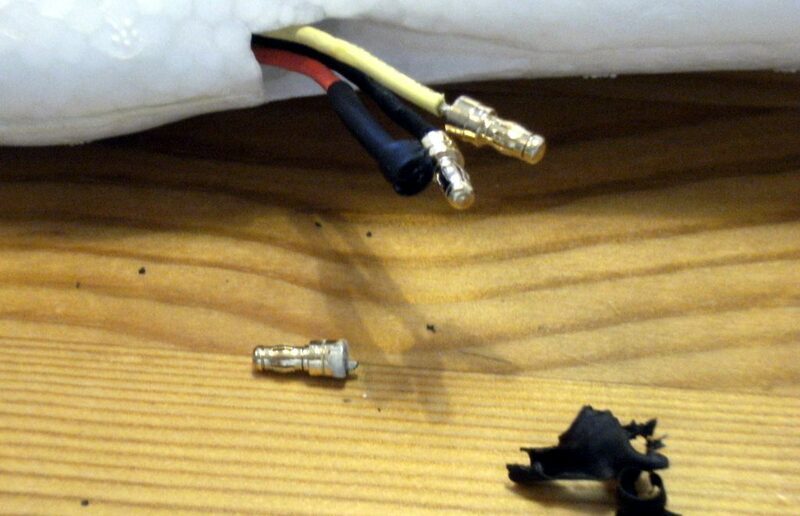 As you could read I fixed the electrical problem that arose on 3rd flight. Since weather was promising I took my plane to the office and we went flying after office hours on Thursday. 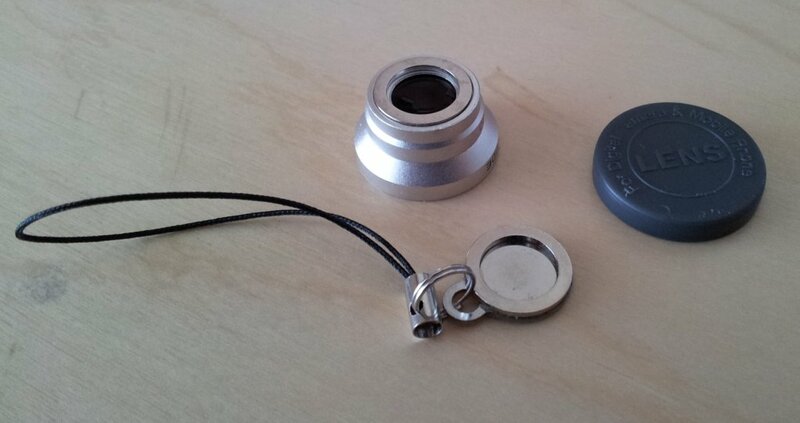 I had my 2 keychain cameras along with 2 wide angle converters. No hat cam this time, I am working on my updated design. And we had a moderately tuned (according to the owner, he plans to tune it further) Funjet on 4S battery and some insane motor and prop. Like a missile it flew. I had some incident again. One of the wide angle converters unscrewed itself, and the bigger half with the lens in front fell off. During flight. Into the propeller and away it flew. I have mathematical chance to find it, I will look next time though. I made a slow-motion replay of it happening, you can see that it falls off and then blurry image. 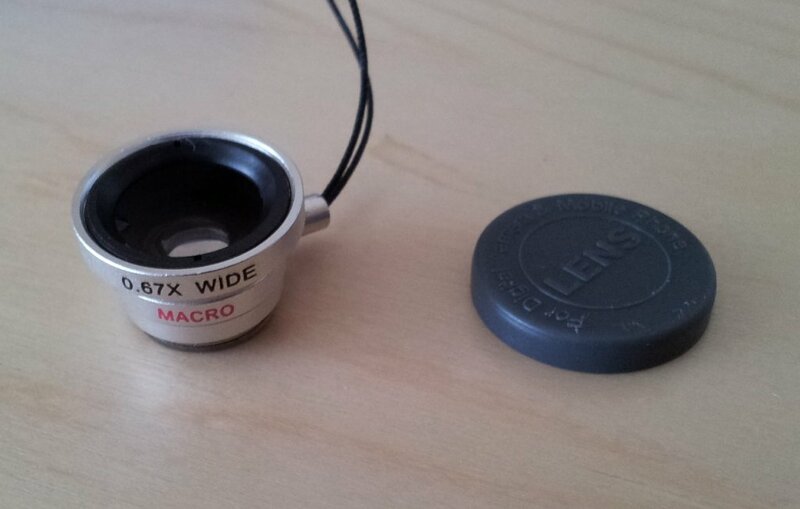 Since the other half with the macro lens stayed on (has magnetic lock) the image lost focus totally. I decided to use thread-lock on the remaining converter, CA might create some white fog on the lens itself. Then I started my plane twice (yes, 2x) into the vegetation. Very embarassing. And once I tried to hand start and failed badly. So my self confidence was quite low in the first part of flying. Anyhow with some careful flying this came to a reasonable level, I had some great fun in the sky. This time I could fly much farther away, as I gain experience I manage more and more. This gives much nicer footage from the air, the area in which we are flying is really beautiful this time. A lot of green and vegetation everywhere, great variation in height as well. When I flew out the juice from my batteries I started to record others flying. Fredrik made some nice flying with the DG1000, very fine landing and turns. We had great time again, a nice day it was indeed. My 3rd flight was not without problem. I enjoyed some nice flying during the first 2 batteries, then all of a sudden on the 3rd battery the power just cut out. Had to do emergency landing even. The problem and its solution is described here, please see my other post. Flying is great fun. If you just read this and don’t fly yet, do not hesitate. Just start flying, it is certainly something wonderful. I purchased some items of true magnificence lately. On DealExtreme you can find all sort of items, but I happened to find something that enhances my recordings at an amazing extent. 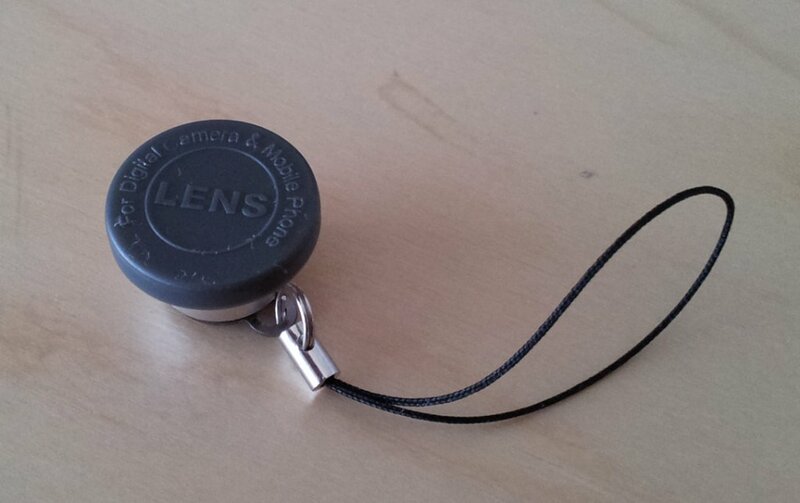 A wide-angle converter it is, that can be applied onto my keychain (keyfob) cameras. and costs 10.37 USD at this time when I write this post. Why is it so expensive compared to some similar converters? So I was keen on checking out the quality. Let’s state that the keyfob cameras are not so good quality, I happen to have the worst variant of them. But I was curious how much worse it can be with an adapter. Well, surprisingly little decrease of quality, it is perfectly okay for my amateur use. A thousand words tell less than an image, so they say, so please find some images here. And please find here a video of how it does perform. In the video you can see a comparison of both still images and video clips. I have a clip the magnetic effect even. I will need to test it further in the air. Next time I will have both my cameras fitted with these converters. I purchased a 180 degrees fisheye converter even. Same good quality, same magnetic effect. But heavier and bigger. And a lot wider in its view angle. Please check out my comparison video. The curse is lifted as it seems, spring came to Sweden at last. Now we had 20 degrees centigrade and no rain, a fine weekend for RC flight. I am joining a model club, the process is ongoing. So I could participate at their field in a semi-approved way, very kind of the club that they allowed. 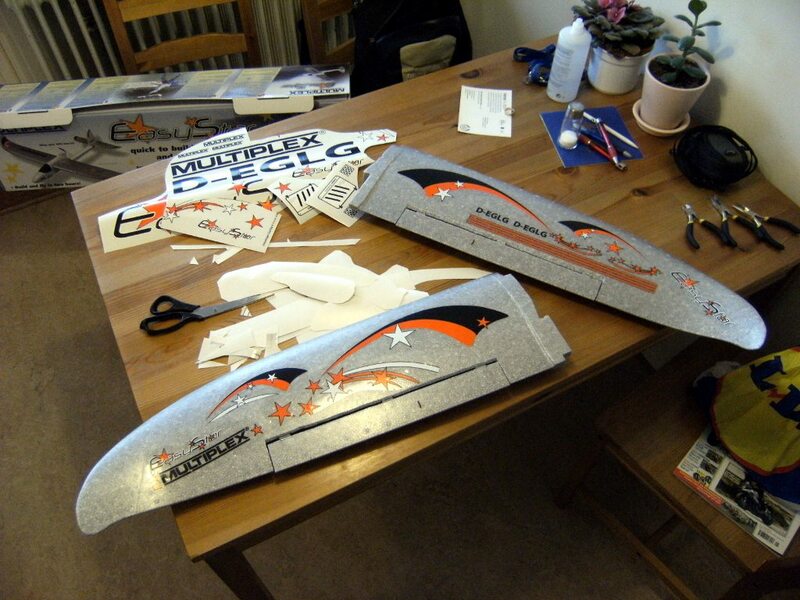 The club is Mölndals Modellflyg, where one of my colleagues is flying. I took my cameras, all my 3 batteries and went for my second flight ever with Easystar. Weather was kind to us, gentle wind of 3-4 m/s and no rain whatsoever. Wind was mostly still, some gusts occasionally. In the beginning there was not a lot of people, so I could fly without spectators. That helps, since when people watch I get nervous. So my first round I could take in a calm way. The second round was a bit more exciting, people arrived and started to watch how I fly. Without intention I managed to provide some piece of flying that raised their interest without doubt. I almost ditched my plane in the grass actually. What I did wrong was that I flew over my head, too close to judge the vector of my plane. You should not fly directly above head as then you have difficulties judging what vector you fly. I drifted too close and lost orientation briefly. Wanted to turn away and lower a bit but got into a steep dive instead. Almost like a Stuka bomber, well slightly only. Anyhow I got awfully close to the ground, maybe 0,5 meters left. I managed to pull up, but it was close. What lesson I learned? Do not fly overhead. Fly a bit away so that you can orientate yourself. I could fly out the juice from all of my 3 batteries, it was great fun. Air traffic increased with time, after a while a lot of planes were in the air. I am not so good at keeping track of them yet, I tried to not fly too close to any of them. I spent almost 3 hours at the field in total, flying time was something 15-20 minutes maybe. At half throttle my plane can fly quite long, my last stretch was a bit over 7 minutes on a battery. I will need to purchase some battery metering device, so that I can see what voltage I am at. Also I need to purchase a proper charger, charging my batteries takes 6.5 hours with my small charger that came along with my Lama3 helicopter. It can handle 0,8 A current and does not give any feedback on the process. Just an LED flashing. I hope you like the video, I tried to film some other aircrafts, not only me doing boring ovals. I think more simulator practice cannot hurt, I need to get more secure in my piloting skills.